Robert Charles Hood, age 79, of Odenville and previously of Birmingham, passed away peacefully surrounded by his family on Jan. 29, after a long battle with congestive heart failure. Hood was born on May 23, 1939 to the late J. Harold Hood and Marie M. Hood, and was educated in the Birmingham City Schools. He graduated from Woodlawn High School in 1957, and from Auburn University in 1961. Following college, Hood was employed by The Lamson and Sessions Company, where he served for 16 years. He joined O’Neal Steel in 1980, where he served for 24 years, retiring as Vice President of Operations in 2004. In retirement, Mr. Hood greatly enjoyed volunteer work, serving as a reserve deputy with the St. Clair County Sheriff’s Office for almost 8 years. He later spent countless hours assisting in the rebuilding of Alpha Ranch, a children’s home in Ashville, which was destroyed by the devastating tornado in April, 2011. 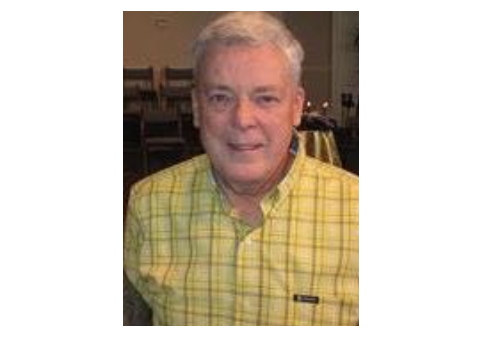 Hood was a longtime member of South Roebuck Baptist Church, and more recently of Cropwell Baptist Church, both of which he served as a deacon. In addition to his parents, Mr. Hood was predeceased by his brother, John H. Hood, Jr. He is survived by his loving wife of 56 years, Diane Dial Hood; his children, Christopher R. Hood and Katherine L. Hood; his sister, Marilyn Jackson (Mike); his nephews, Michael Jackson (Angela) and Roger Jackson (Amy); his niece, Rita Beem (Craig); and his great nieces and nephew, McKenzie Jackson, Libby Jackson, Spencer Jackson, Isabelle Jackson, and Rachel Beem. In lieu of flowers, the family requests that any contributions be made to Lakeside Hospice, 4010 Masters Road, Pell City, Alabama 35128, www.lakesidehospice.org http://www.lakesidehospice.org. The Hood family would like to give special thanks to his nurses/caregivers, Amy Green, Kendra Baxter, Cristy Daffron, and Alena Carroll.